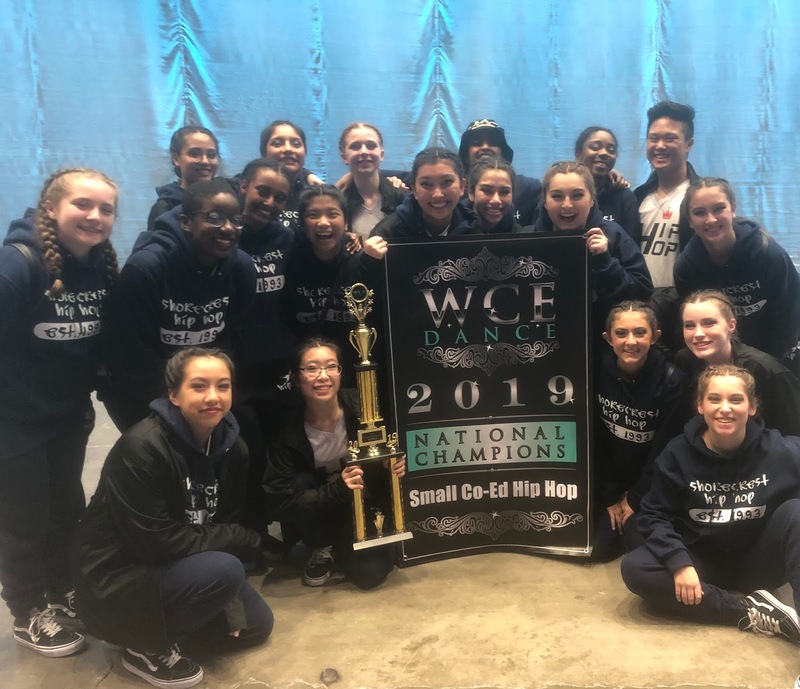 SHORECREST HIP HOP Team returned from Nationals as CHAMPIONS! They competed at the West Coast Elite Nationals in Long Beach, California on March 15-16. The team took 1st Place in Small Co-Ed Hip Hop and 3rd in Medium Female Hip Hop! It was a tough field of high school teams comprised mostly of teams from California but the Shorecrest team brought their unique style and came away with two trophies and a NATIONAL CHAMPIONSHIP BANNER! The team heads to the WIAA State Dance/Drill Competition in Yakima later this week competing in 3A Hip Hop on Friday, March 21st!